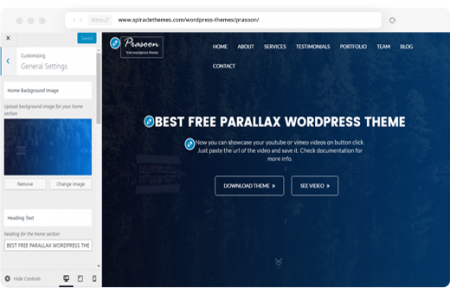 Prasoon is the user-friendly, modern theme with rich customization possibilities, suitable for almost any small business website. 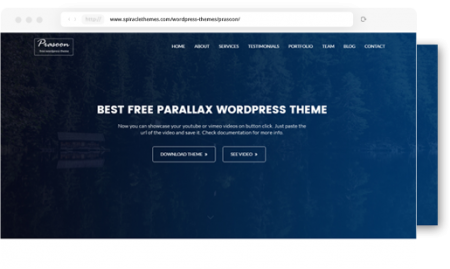 With its clean and responsive design, Prasoon is the next free theme for your WordPress website. This theme has all the features like custom menu, header background, custom widgets etc. Prasoon is SEO friendly and the best coding standards have been used in the development. 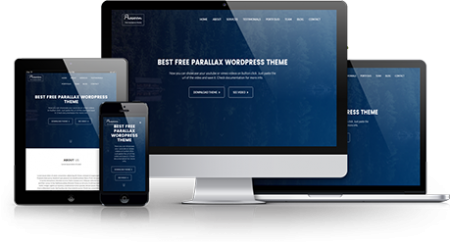 Now get amazing user experience while using parallax backgrounds. Impress your customers and engage them in just few settings through customizer. Prasoon uses live customizer to customize most of the theme settings. Get live preview of your customization while making edits to the website. Prasoon uses the most popular Bootstrap framework. With its built in elements, its easy for anyone to create new sections. Prasoon is translation ready theme. Now convert your site to any language and engage more customers. Prasoon has more than 13 custom widgets in the free version. Drag and drop your widget and save. Its super easy. Prasoon comes with sticky header feature. Now you dont have to scroll up everytime for menu selection. A new scroll down feature has been added to the homepage. You can hide or show it through customizer settings. Prasoon comes with preloader option for your website. You can add your own preloader through settings or you can disable this too. 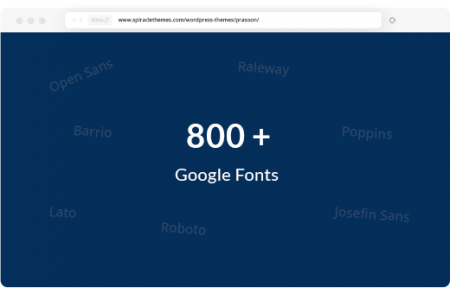 Now make your website look like the live preview. Just click on the Import Demo Data menu under Appearance menu and click on Import Demo Data button.